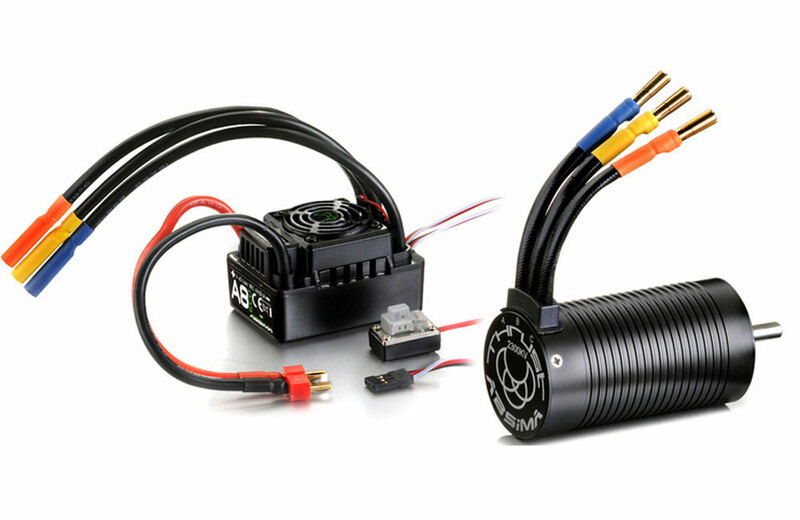 All Products > "2120003 Absima Brushless Combo Set Thrust BL ECO 1"
The Brushless Combo Set "Thrust BL ECO" 1:8 is primarily aimed for the owners of 1:8 Ready Set vehicles or KIT vehicles that want to make simple adjustments to increase their racer performance. 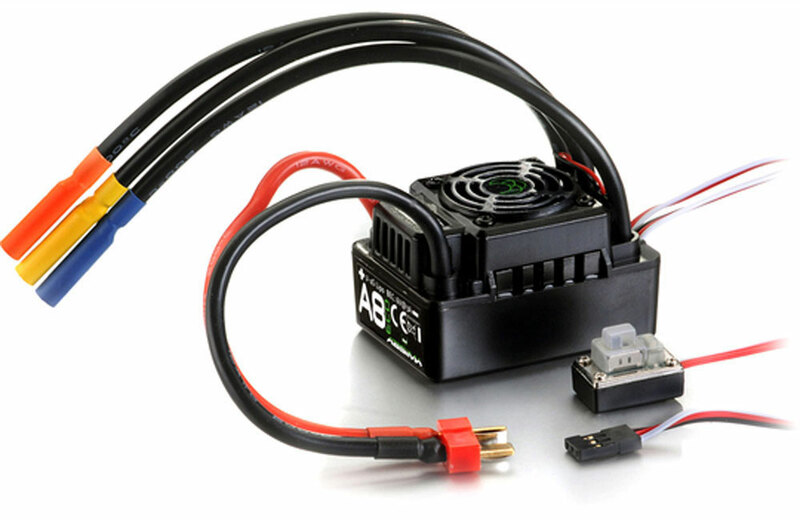 The set includes the brushless high-performance motor with aluminum housing and the matching speed controller. The system is designed without sensor cable, allowing a particularly easy handling. Complete sensorless brushless set - ready to use. Including gold-bonded plug system and t-plug battery connection. Multiple protecting features like low voltage cut-off protection, over-heating protection and throttle signal lose protection. Easy programmed with the set button. 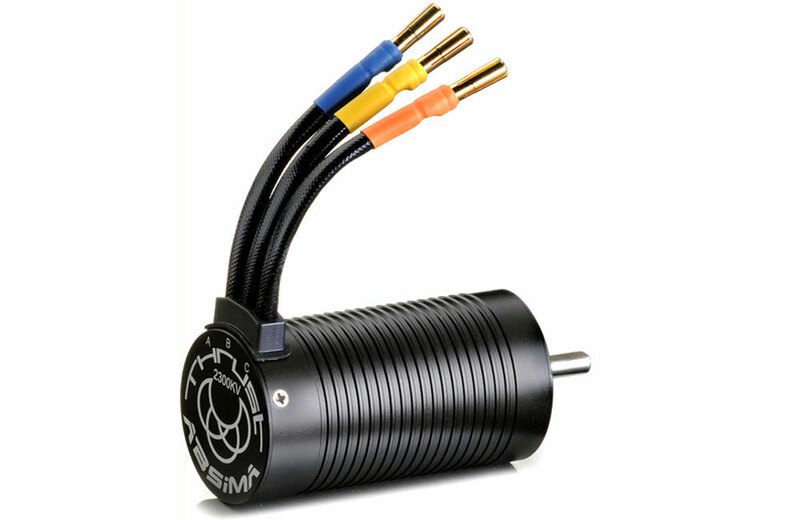 Dustproof design, heat resistant wires and gold plated connectors make this motor to a masterpiece - suitable for Buggies, Truggies and Monster Trucks.